"Passengers are far more likely to have a positive experience with an airline if they are entertained during their flight." Satisfaction with airlines has increased for the seventh straight year, according to an annual travel survey — but passengers are still tough to please when it comes to inflight entertainment. Cheaper fares, bigger overhead bins, and investments by airlines in newer planes were some of the factors fueling the increase in customer satisfaction, according to the J.D. Power 2018 North America Airline Satisfaction Study, released Wednesday. “Today’s passengers expect trouble-free connectivity for personal devices." But while the 2018 study found that overall customer satisfaction increased 6 points to 762 (on a 1,000-point scale), airlines lost points in the in-flight services category, which includes food, drinks, and entertainment. In terms of the in-flight experience, the report notes that as compared to airlines offering seatback screens, “Passengers using their own mobile devices to access in-flight services are less satisfied with the variety of in-flight entertainment available." Traditional and low-cost North American carriers all showed improvement in this year’s study. 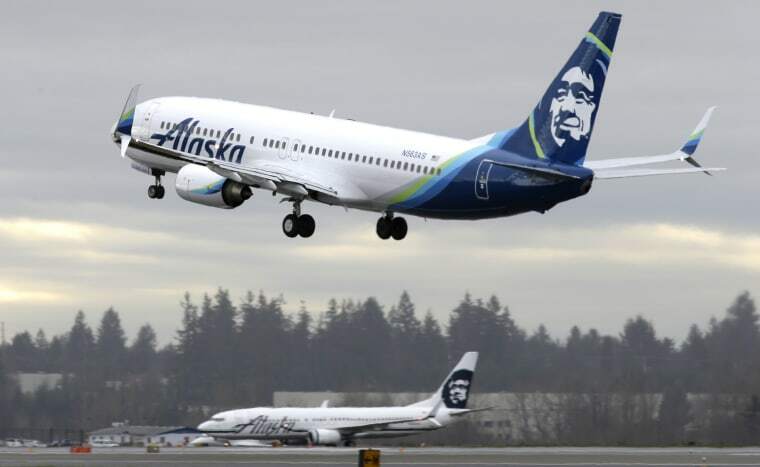 Among traditional carriers, Seattle-based Alaska Airlines ranked highest for the 11th consecutive year, with a score of 775 out of 1000 points (up from 765 last year), with much of the improvement coming from investments in bigger overhead bins, notes Taylor. Delta is once again in second place, with a score of 767 (up from 758 last year), followed by Air Canada (734), American Airlines (729), and United Airlines (708 points). Among the low-cost carriers, Southwest Airlines holds onto the highest ranking for the second consecutive year, with a score of 818 (up from 807), while JetBlue Airways once again ranks second with 812 points, up from 803 last year. Among the airlines showing the most improvement in overall customer satisfaction from last year are Allegiant, which increased 58 points to 725, and Air Canada, which increased 25 points to 734, according to Taylor. J.D. Power’s North America Airline Satisfaction Study uses seven ranked factors to evaluate airline performance: cost & fees, in-flight services, aircraft, boarding/deplaning/baggage, flight crew, check-in, and reservation. This year’s study gathered input from 11,508 business and leisure travelers and was conducted between April 2017 and March 2018, before the Southwest Airlines incident on April 17 in which one passenger was killed after an engine exploded, before Alaska Airlines issued new, more restrictive rules for passengers traveling with emotional support animals, and before United Airlines released its updated policy for pets transported in cargo, a move that came on the heels of a series of high-profile pet-related incidents.